What's More Secure? Android or Apple? What vulnerabilities exist in the Android or Apple devices? Here’s what happened to the Android and Skype this week. 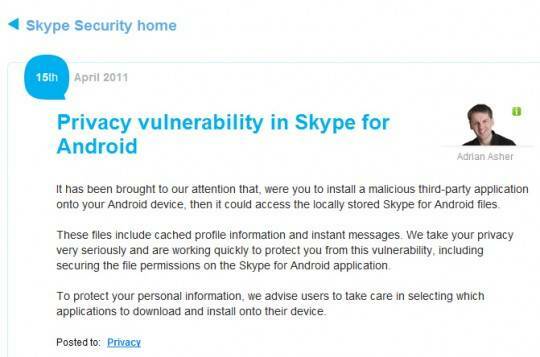 The chat logs, phone numbers, profile and other personal information was exposed in the Skype app for the Android. Skype has been downloaded by over 10 million Android users, so the impact of this news was pretty severe. How can you tell what apps are vulnerable what apps aren’t? One thing that users can do to protect themselves is to look at what permissions an app requires. That information will just before you hit “install.” If you don’t think the app needs all that data, then you should not install it. Folks would likely feel more secure with Apple devices and apps after a leak like this one!